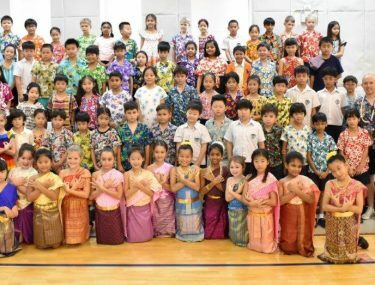 Bangkok Prep is one of the leading International Schools in Bangkok and is currently celebrating its 15th year of operation. The programme of study is based on the National Curriculum of England, offering a quality education to students from Nursery to Year 13. We offer a rigorous IGCSE programme to Year 10 and Year 11 students as a precursor to the Cambridge-approved A-levels available to study in Year 12 and Year 13. 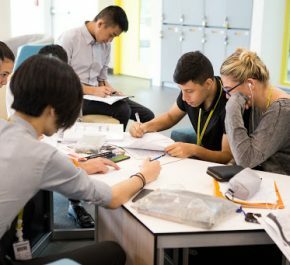 The school introduced Extended Project Qualification (EPQ), which is one element of the AQA Baccalaureate, thus preparing students towards University education worldwide. 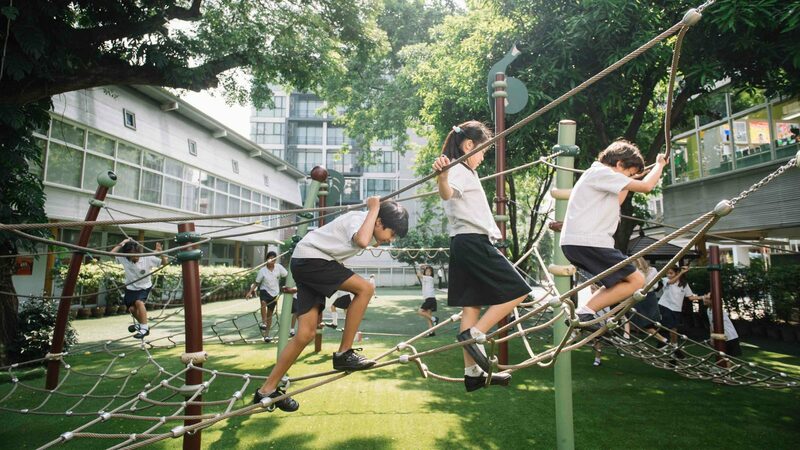 International School in Bangkok is spread across two campuses: a Primary Campus in Sukhumvit Soi 53, which is just a stone’s throw from Thong Lo BTS station and a Secondary Campus in Sukhumvit Soi 77, which is close to a new residential and retail development and within easy walking distance of On Nut BTS station. The Primary Campus is home to students from nursery through to Year 6, whilst the Secondary Campus caters to students from Year 7, all the way through to Year 13. As members of the International Schools Association of Thailand, the Federation of British International Schools in Asia and the Thailand International Schools Activity Conference, you can be sure that we are capable of providing your child with a first-class education from nursery to A-levels and beyond, which will serve as excellent preparation for worldwide university studies and adult life. We have a great team of highly experienced and qualified teachers, all of whom share our enthusiasm for education and our determination to help students reach their full potential. 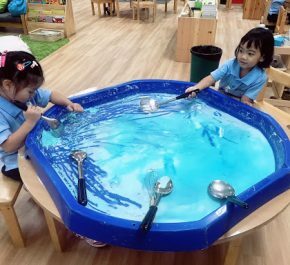 Furthermore, our Bangkok campuses provide children with a wonderful environment in which to learn and to equip themselves with all the skills they will need in later life. Our Primary Campus boasts a state-of-the-art indoor sports complex, outdoor swimming pool, well-stocked library, music rooms, computer rooms and many other facilities that we consider essential to the provision of a well-rounded education. 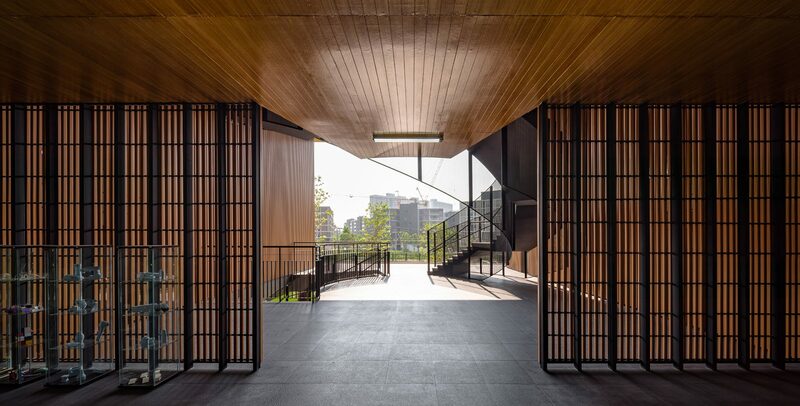 Our Secondary Campus is designed to encourage older students to explore subjects in greater depth and to ease their path to higher education, with study areas, break-out learning spaces and exceptional sporting facilities. Our examination centre, which is Cambridge University approved for IGCSE and A-levels, enables our students to gain all the qualifications they need on-campus, before going on to study at the university of their choice anywhere in the world. Bangkok International Preparatory & Secondary School has been established since 2003. Swimming, basketball, football, volleyball, tennis, gymnastics, athletics, cricket, rugby, touch rugby, sailing, water polo, golf, rock climbing and soft ball. At Bangkok Prep our Student to Teacher Ratio is 10:1 ensuring that each student gets the focused attention they need to excel. At Bangkok Prep we offer over 150+ after school activities including but not limited to: Magic Club, Mandarin, Yogo, Judo, Football, Cooking, Chess Club, Ballet & Orchestra. The distance between Bangkok Prep's Primary & Secondary Campus is only 2.83 kilometers. At Bangkok Prep we have affiliations & accreditations from 11 institutions & organizations. Primary school begins at 7:45 a.m. and ends at 2:30 p.m. Secondary school begins at 8:00 a.m. and ends at 3:20 p.m.
Bangkok Prep’s 2018 IGCSE results were amongst the best in school’s 15 year history. These outstanding results are down to our students’ exceptional hard work alongside the commitment and professionalism of our teachers and staff. 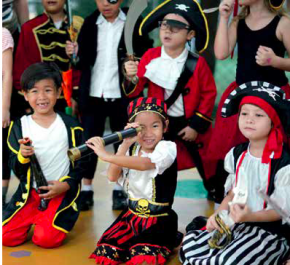 Following the National Curriculum of England, with appropriately qualified teachers who are focused on helping students to develop core skills and values that support their learning at all stages, Bangkok Prep, International School in Bangkok provides a truly British education to children of all nationalities and ages in Thailand’s capital city. 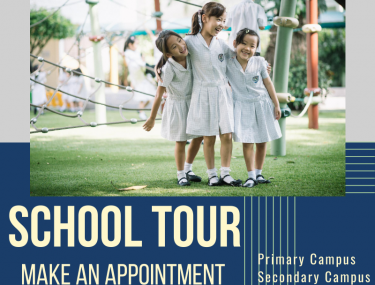 The locations of our primary and secondary campuses, in Thong Lo and On Nut respectively, makes them easily accessible to both expatriate and Thai students living in central Bangkok. Considered as one of the most desirable areas of the city, Sukhumvit is a great place to settle if you are relocating here from overseas. All of our graduating students have been offered places at their chosen universities worldwide and some of our top graduates have received the Cambridge Learners Award in recognition of their outstanding performance in Cambridge examinations. If academic excellence is high on your list of priorities, as it is ours, Bangkok Prep is the perfect place for your child to study. We have the resources you would expect from a large international school but thanks to our separate campuses and small class sizes, we have been able to maintain the atmosphere of a mid-sized educational institution, making it easier for new students to settle into their studies. 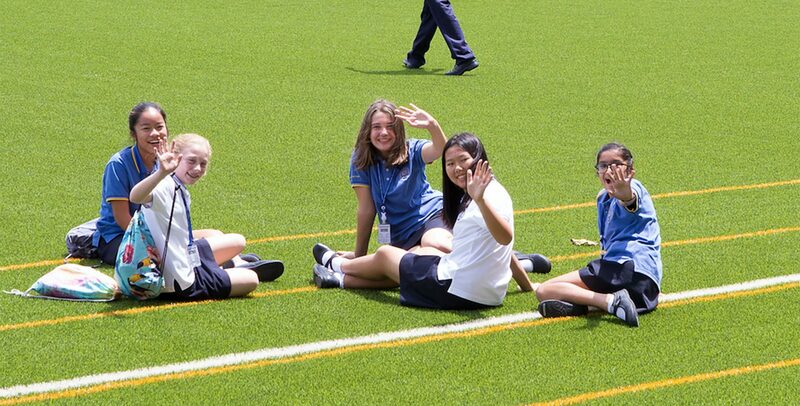 With accreditation from the Council of International Schools, the New England Association of Schools and Colleges and the Office for National Education Standards and Quality Assessment, Bangkok Prep is undoubtedly one of the very best British International School in Bangkok following the National Curriculum of England, providing students with an education that enables them to study at Universities across the globe. The diverse nature of our student body, together with our team of highly experienced teachers, ensures that we are able to provide our students with a nurturing international learning environment. Bangkok Prep alumni go on to study, work and thrive in countries all over the world. All of our foreign teachers possess relevant postgraduate qualifications and are committed to providing our students with the best possible education. From the UK, USA, Australia and other countries across the globe, we have gathered together a team that is capable of helping your child to excel in all areas of their educational life. 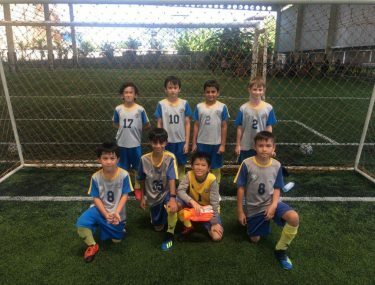 Our campuses boast a fantastic range of facilities, including a FIFA regulation football pitch, Olympic-sized swimming pool, fully equipped fitness centres, music practice rooms and a 415 seat auditorium, making Bangkok Prep one of the best-equipped British International Schools in Bangkok. Whilst we place great emphasis on providing our students with a well-rounded education, preparing them for success in all areas of their adult life, academic achievements are of prime importance to both us and our students. This year’s results demonstrate our commitment to academic excellence and we look forward to reaching even greater heights in the future. We would like to invite parents to join our workshop 'Understanding Children's Behaviour' presented by Dr Lynn Blakemore, our Specialist in Early Years Education, and Mr Brad Owen, our Head of Primary. The aim of the workshop is to gain an understanding of children’s behaviour and needs in EYFS & KS1 (parents of other year groups are also welcomed! ), to know what process to follow if any concerns around behaviour should arise and the Schools role – Support, Policy & Action. 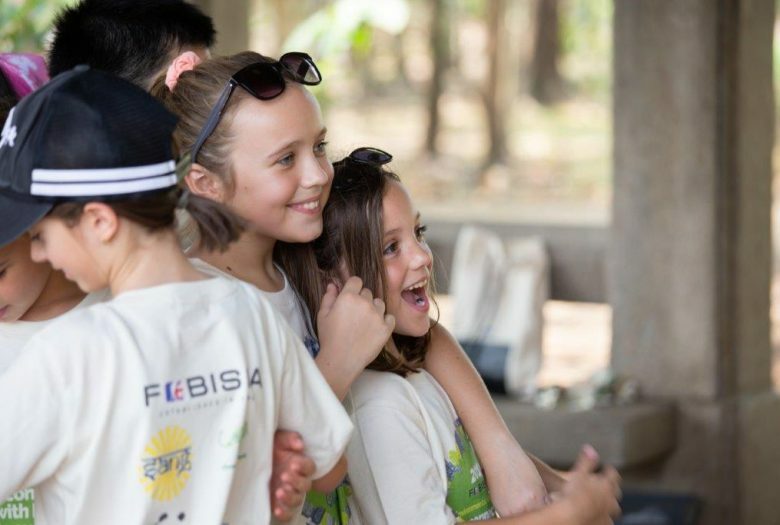 This March, Bangkok Prep welcomed delegates from fellow FOBISIA member schools to participate in the annual FOBISIA Environmental Conference, with the aim of addressing a question; how can we connect more with nature whilst living in a modern metropolis? This March, Bangkok Prep welcomed delegates from fellow FOBISIA member schools to participate in the annual #FOBISIA #Environmental #Conference, with the aim of addressing a question; how can we connect more with nature whilst living in a modern metropolis? The conference began with an hour of #yoga and #mindfulness practice. 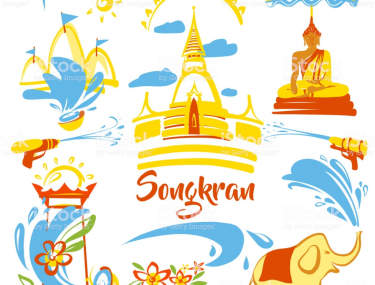 Afterward, students and teachers made their way across the river using traditional #longtailboats to reach #BangKrachao – Bangkok’s ‘Green Lung’. Students from all schools worked together to complete a variety of ecologically-themed challenges and games. They also participated in a #photography workshop led by our own Tom Bannister. We welcomed #WWF’s Head of Conservation Gordon Congdon Jr to open the second day of the conference. Mr Congdon is a recognised champion of biodiversity and, in particular, is known for his work in protecting tigers throughout Southeast Asia. As an #EcoSchool, Bangkok Prep has continued to develop our sustainable practices and we are incredibly proud to have installed a #400kilowatts of #solarpanels at our Secondary Campus. With the #Blockchain technology, it enables our school to provide renewable energy to other businesses within the T77 complex. Participants in the conference visited the campus to plant vegetables at our #organicfarm. Then, they had the pleasure of visiting Bangchak’s learning centre to be informed of the cutting-edge developments being led by our event sponsors, #BCPG. The conference concluded with a series of workshops at our 53 campus. Using the awesome #MakerSpace, Andy Wooldridge led the students to create frames for their own photos using old magazines. Our colleagues from #SangFoundation continued to help us raise awareness by creating a mini Bobo the Whale for each school to take home with them. We were also pleased to welcome #SecondChance Bangkok back to Prep to hold a fantastic upcycling workshop whereby students created bags from old t-shirts. Our friends at #RoyRak joined us too and made amazing bracelets from old ring-pulls with the students. All these activities helped the conference to conclude with an important message: we can and must be ever-more mindful of what we consume as our cities continue to grow. To find out more about taking a personalised guided tour of our state of the art campuses please click below.